As summer comes to a close, most Canadians are focused on soaking up every last minute of sunshine. It is important to enjoy every bit of summer fun but making sure that your property is taken care of is important too. If you are having a difficult time scheduling chores, our Gorillas can help you take a load off! Our gutter cleaning service can help keep your system running while giving you peace of mind. More often than not, property owners do not address maintenance issues until they are, in fact, issues! You might not think about the condition of your roof until cracks and leaks begin to appear but you do not have to wait for trouble. By calling up our Gorillas for a semi-annual gutter cleaning, you prevent carrying issues over from season to season. This prevents headaches by giving property owners a fresh start to each season. Fall months come and go quickly so a little preparation will go a long way to getting your property winter ready. As plants and trees begin to lose their leaves, the gutters around your space see the brunt of this clutter. A few leaves here and there might not seem like a big issue, but these pile up. Blocked gutters retain moisture and make way for rot, invasive plant growth, property damage and infestations. 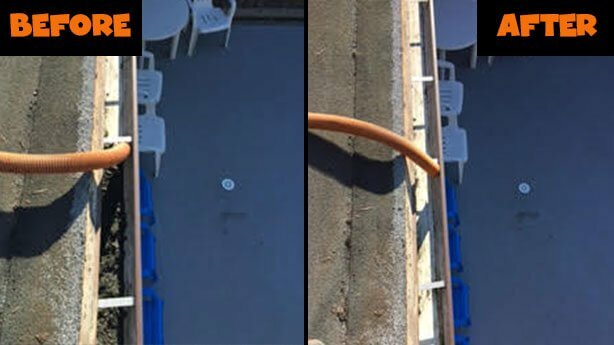 Full removal of clogs and blockages is the secret to any good gutter cleaning service but this is easier said that done. More often than not, gutters are approached for removal by hand but this is not the most effective solution. In fact, it isn’t much of a solution at all. In order to make sure that your gutters are fully cleaned every time, our Gorilla technicians use high-powered vacuums in order to remove even the thinest foundation layers of debris that run inside your system. Larger items like sticks and leaves can be pulled by hand but if a foundation layer is allowed to stick around, it will trap, hold and collect new debris. Complete removal is key to having a smooth-running system and that is why our Gorillas provide flow-testing before we consider the job completed. Instead of wasting time with temporary solutions, have your system completely cleared with our gutter cleaning services. 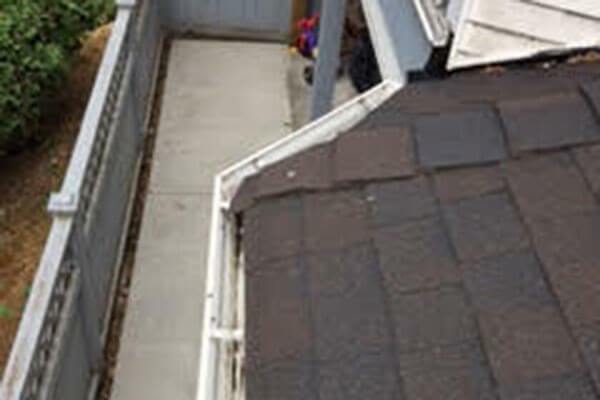 Call today to book an appointment for our gutter cleaning service.